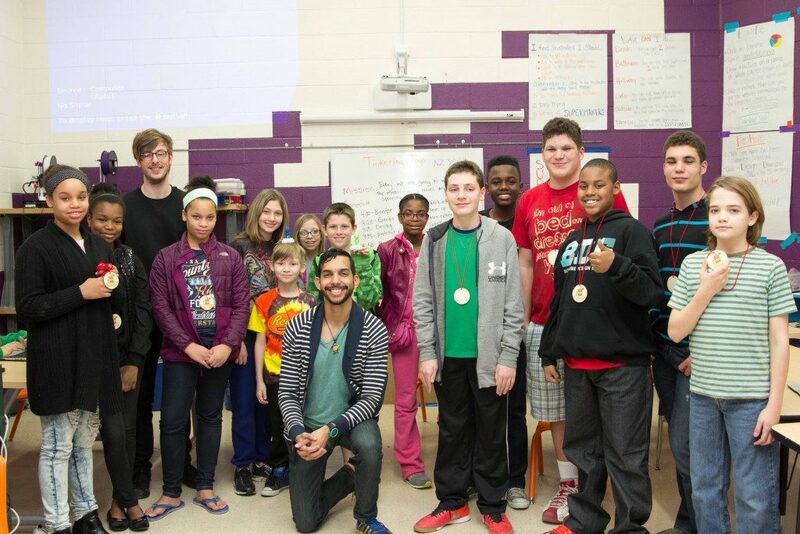 We hosted a Scratch Game Jam on Friday, March 11 and Saturday, March 12. The weekend Game Jam turned out to be the most exciting and fruitful Game Jam we have ever hosted. With 19 youth in attendance it definitely seems like this event will keep on getting bigger and bigger every time we host it. For those of you who do not know what Scratch or Game Jam is here is some information on both. 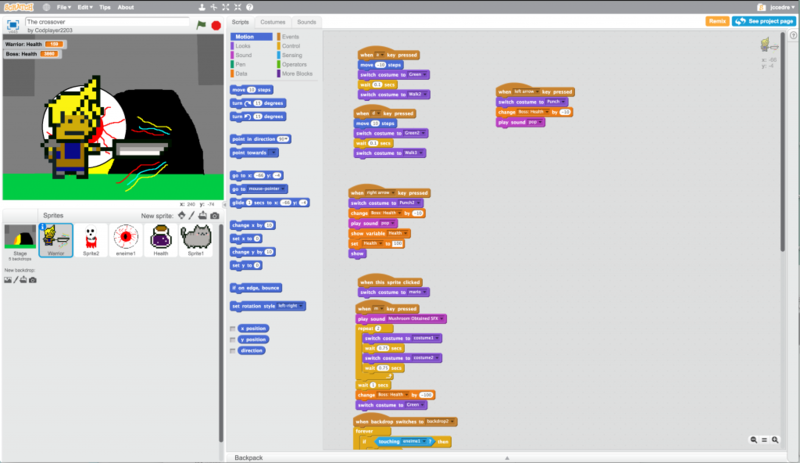 Scratch is a web based game development environment developed by the team at the MIT Media Lab. 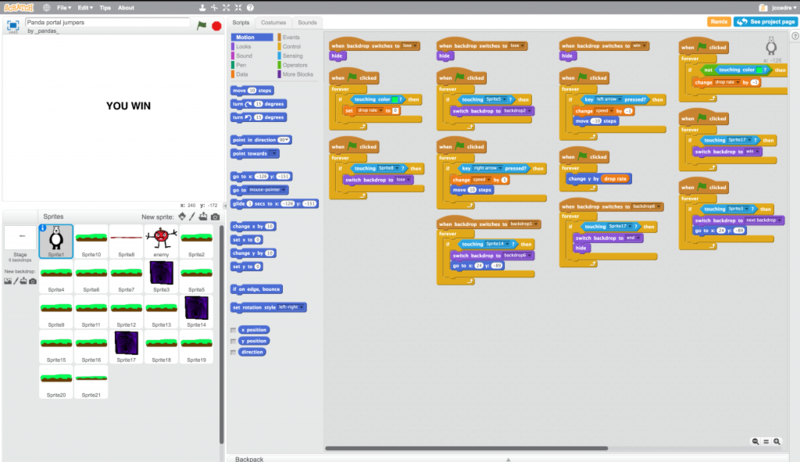 With Scratch you can drag and drop pieces of code in a simple to use interface which provides an easy way for our youth to learn simple and even complex programming principles in no time. 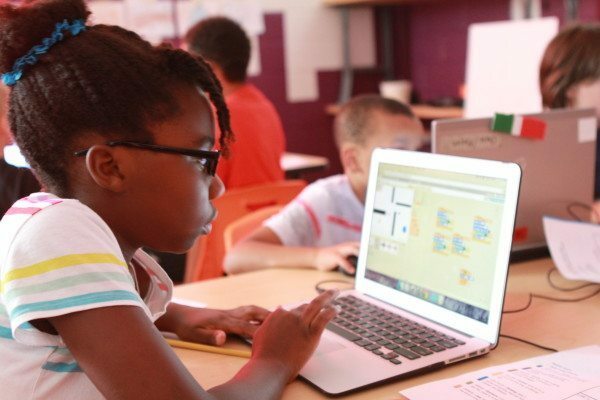 Game Jam is a hackathon style game development event hosted at the Digital Harbor Foundation. The event runs on a Friday evening and all day Saturday. Youth participants come together on Friday and form development teams to create a game together. As a guide for the youth, we provide a schedule sheet of the event along with information on how they can divide their team members and assign roles for everyone. Along with almost everything we do here at the Digital Harbor Foundation we try to keep an open format for the youth to either work on their own or on a team. Team Panda were the Spring 2016 Game Jam Fan Favorites! They created a platform game called Panda Portal Jumpers that incorporates easy to use game mechanics in a fun, simple and yet hard to beat game. As we move to hosting more and more Game Jams as time passes I start to wonder what this event will look like in the future. With the increase in youth participation I can’t wait until we turn this event into a true game development hackathon! 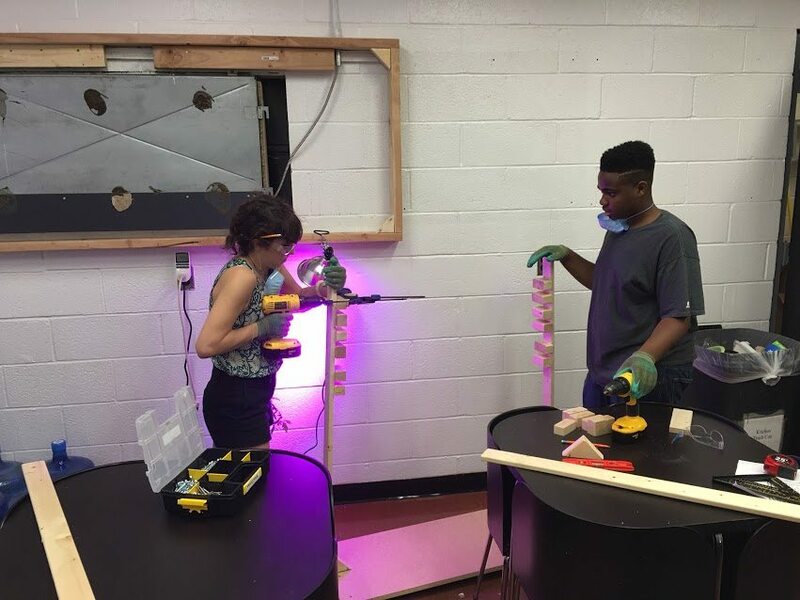 Here at the Digital Harbor Foundation we always strive to provide a safe, comfortable, and yet challenging, environment for our youth to create, explore, and fail. The Spring 2016 Game Jam is just one of the these environments. 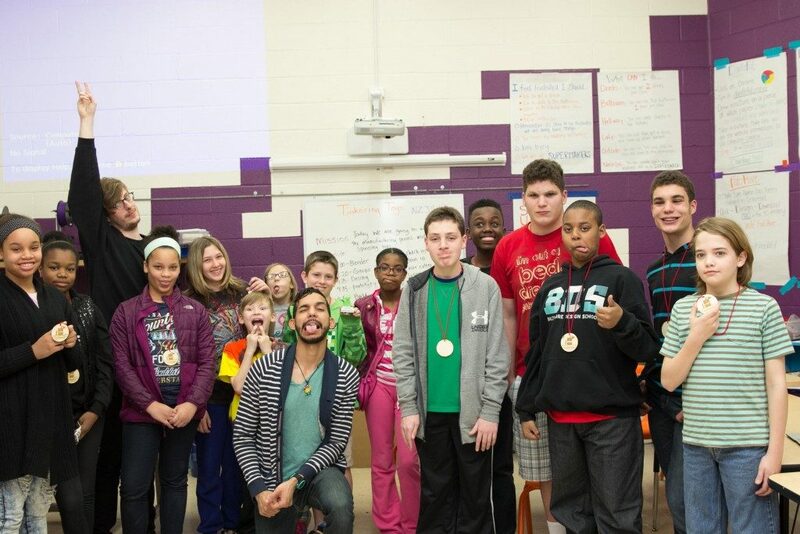 Here is the link to our 2016 Scratch Game Jam Studio if you’d like to see more of the games our youth created! We are already so excited for our next Game Jam, which will take place in October.